Interests: Social, political, moral, and ideological aspects of second language education, writing as an identity-forming practice, jewish literatures in Eastern Europe and translation of poetry. Interests include second language acquisition; structure and history of the languages of Western Europe (Germanic, Romance, Celtic) and Turkic languages; syntactic theory; language contact. 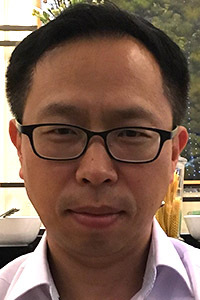 Jae Hyun Ahn is a PhD student in Second Language Studies. 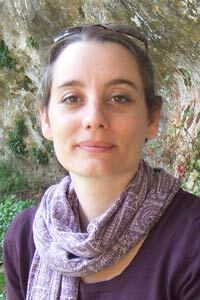 Her research interests are sentence processing in psycholinguistics, language acquisition and language assessment. She has an M.A. in English Education from Korea University. 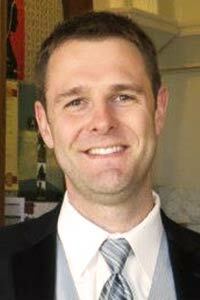 Will Allendorfer is a Ph.D. student in Second Language Studies. 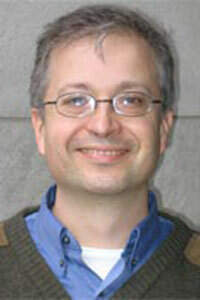 His research focuses on second language acquisition and use in online discourse. His other interests include computer-mediated communication, Arabic, language pedagogy, and pragmatics. Will has an M.A. in TESOL/Linguistics from West Virginia University and over 11 years of classroom experience as an ESL/EFL instructor. 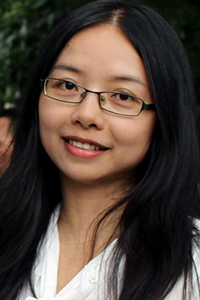 Bihua Chen is a Ph.D. student in Second Language Studies. She spent six years teaching English as a second language after graduating with an M.A. in Applied Linguistics. 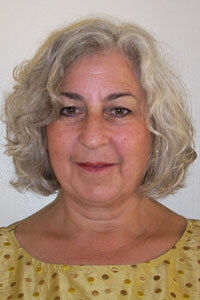 Her research interests include psycholinguistics, language teaching, and language assessment. 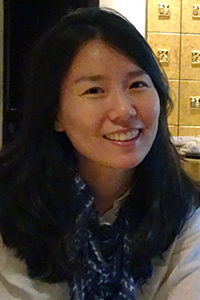 Jean Young Chun is a Ph.D. student in Second Language Studies with a concentration in language assessment. She attained her masters degree in Second Language Studies at University of Hawaii. 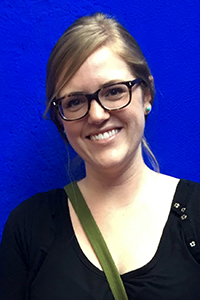 Danielle Daidone is a Ph.D. student in Second Language Studies and Hispanic Linguistics. Her main research area is second language phonology, with a particular focus on lexical representations and spoken word recognition. She also works on individual differences in second language phonological acquisition, as well as first and second language sociolinguistics. 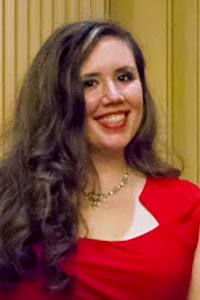 Kenna Daniel is an MA student in Second Language Studies whose research interests include second language acquisition and pedagogy with an emphasis on L2 grammar acquisition. She has an MA in Italian from Indiana University (2011) where she began teaching Italian, and an MA in TESL from the University of Mississippi (2014) during which time she taught Italian and ESL courses. She hopes to continue her studies and pursue a PhD in SLS. 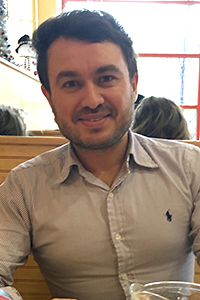 Yılmaz Köylü is a PhD student in the Department of Second Language Studies at IU. His interests lie in the domains of first and second language acquisition, syntax, semantics and Turkish linguistics. More specifically, he is interested in syntax-semantics interface and count/mass noun distinction across languages. Chi Lung Lee is an M.A. student in Second Language Studies, whose interests particularly lie in the acquisition of L2 lexis and syntax, contrastive analysis (especially between Mandarin and English), and L2 literacy assessment. He received his B.A. in Journalism and English from National Chengchi University, Taiwan, in 2016. 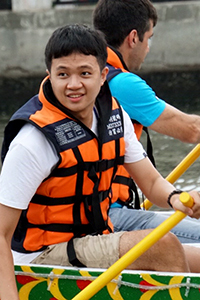 Senyung Lee is a PhD Student in Second Language Studies. Her interests include high-stakes language assessments, validity argumentation, assessing L2 writing, and the acquisition of L2 multiword units. She has experience in EFL and ESL teaching. Currently, she is a test developer of the new Indiana Academic English Test. Ryan Lidster is a PhD Student whose interests include language assessment, validity argumentation, measurement theory, and psychometrics in applied linguistics, with particular focus on the assessment of learning outcomes and L2 phonology, especially concerning factors that affect learner and rater behavior in oral communication and listening and speaking tasks. 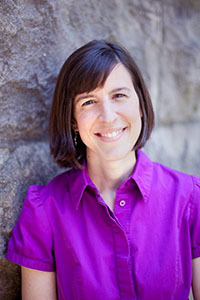 Jeanne McGill is a Ph.D student in SLS. Her research areas include L3 acquisition, L2 pronunciation, and instructed SLA (especially individual differences like learning disabilities and anxiety). She is also interested in the syntax of verbs and language revitalization. She has an M.A. 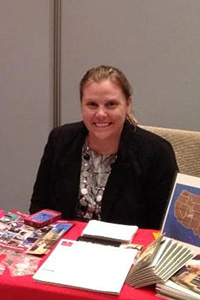 in German from UNC-CH and has nearly ten years’ experience teaching Spanish, German, and academic English. 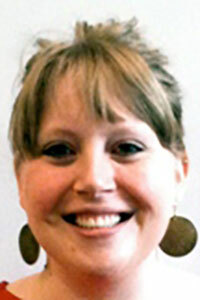 Hunter McKenzie is a MA student in Second Language Studies. His interests currently include arts and literature in the language classroom, L2 writing, and L2 Spanish acquisition. He studied Spanish, French, Ancient Greek, and Latin and taught K-12 literature as well as Spanish as a foreign language. Outside of classes, he's currently working on developing proficiency in Modern Irish and German. Emily Moscaritolo is an M.A. student in TESOL and Applied Linguistics. She received her B.A. in Communication Studies and Spanish from Bloomsburg University of Pennsylvania. Her interests include L1 attrition and bilingual education. Yena Park is an M.A. student in Second Language Studies, with interests in second language assessment particularly in validity argumentation and assessing oral proficiency. She received a B.A. in Comparative Literature and Culture from Yonsei University. She is currently working as a test developer for the new Indiana Academic English Test. 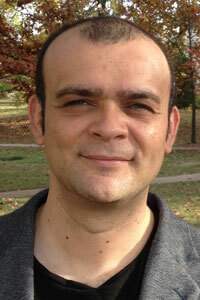 Paul Richards is a Doctoral Student in Second Language Studies. He received an M.A. in Second Language Studies from Indiana University in 2015. 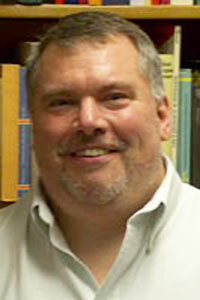 His primary research interests revolve around the acquisition of syntax and semantics in second language. 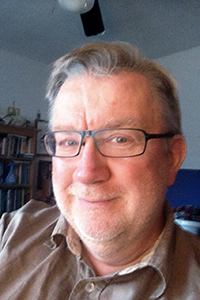 Further interests include theoretical and practical issues in computational linguistics, particularly relating to how annotation schemes affect SLA corpus research; and Japanese Linguistics. John Rothgerber is a PhD candidate in Second Language Studies. 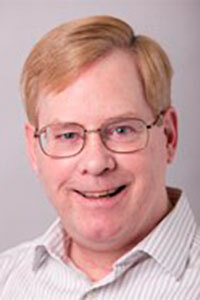 His primary research focuses on the perception and lexical encoding of second language speech sounds. He is also interested in pronunciation instruction. He has an M.A. in TESOL and Applied Linguistics from Indiana University and has been teaching ESL/EFL in the United States and Japan for over 13 years. Suchada Sanonguthai is a PhD student in Second Language Studies from Bangkok, Thailand. Her background includes Thai EFL in secondary and university education. 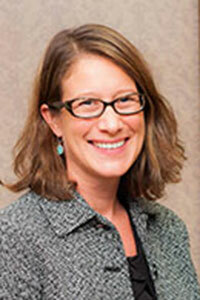 Her research interests are high-stakes language assessment, test washback, language policy, and curriculum design. 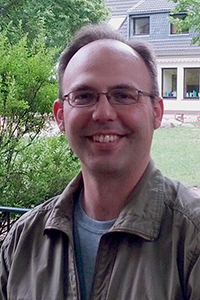 John Scott is a Ph.D. student in Second Language Studies with minors in Linguistics and Germanic Studies. 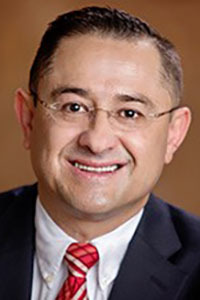 His research is in L2 phonology, focusing on phonotactics in interlanguage phonology, psycholinguistic experimental methods for L2 phonology, and phonological aspects of lexical acquisition. His primary teaching experience is in L2 German, and he has also developed courses on constructed languages and linguistic miscommunication. Read more about John on his website . Shaye Smith is an M.A. student in Second Language Studies. 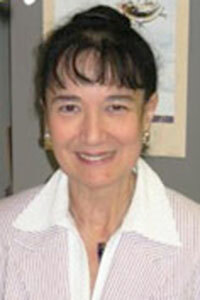 Her research interests include child second language acquisition, dual-language education, and bilingualism. She holds a B.A. 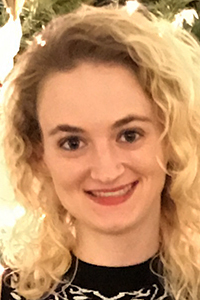 in Anthropology from Colorado College and spent several years as a middle school teacher before beginning her studies at IU. .
Kyle Swanson is a second-year student pursuing a Master of Arts in Second Language Studies. He is particularly interested in morphosyntax and phonology. 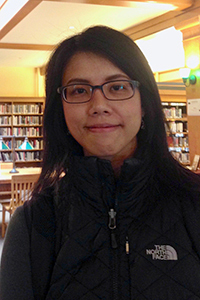 Kimberly Wan is a Ph.D. student in Second Language Studies. Her research interests include psycholinguistics, adult foreign language acquisition, technology-assisted language learning and language testing.